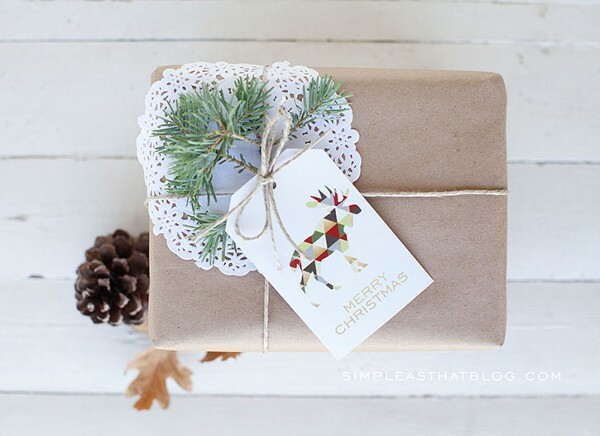 If you’ve just about got Christmas sorted, but you’re missing the gift tags to tell everyone which surprise under the tree is theirs, then you need to have a look here. We’ve found the sweetest present-toppers this festive season and best of all, they won’t cost you a cent! 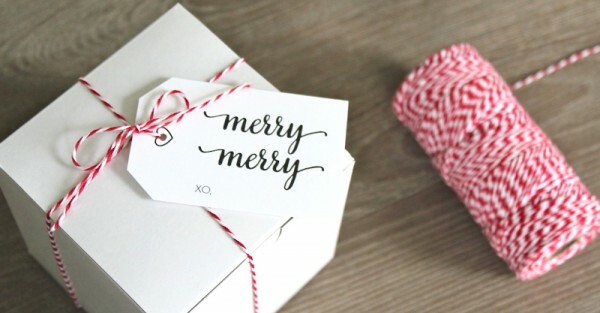 Free printable gift tags are all the rage. Just print out and you’re ready to add the finishing touch to all those pressies you’ve been buying. The toughest part will be choosing the ones you like best. Our tip? Print on cardstock or matte photo paper for professional results. Trees and moose made of red, green and gold geometric shapes from Simple As That. 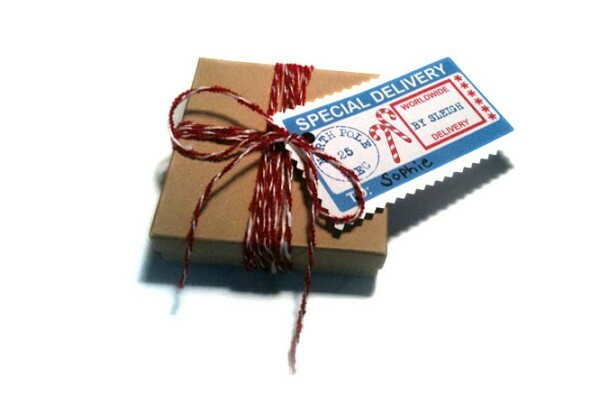 The white background makes any gift look chic and classic. Let it snow (on your gift tags at least) with Domestifluff‘s winter-themed holiday tags. Snowmen, trees and candy canes feature on 10 different tag designs. It’s summer and Christmas day looks like being a hot one in most parts of Australia, so what better way to illustrate than with some cool ice-cream tags from Eat Drink Chic. Bright and cheerful, they’ll look adorable if you’re after something a little less traditional. Simple and beautiful, these tags have pretty typography that can be printed in red and white or chic black and white. The ‘merry merry’, ‘believe’ and ‘love and joy’ tags are from I Heart Naptime. One sheet will print 12 tags with four different designs by Momomushy. The Rudolph, Santa, snowman and angel tags would be ideal on gifts for children. Nine modern prints of gifts, ribbons, hats and hearts from The Caroline Johansson. Pinks and bows would make these tags a nice touch for your gifts for girls. Santa has let us share his own personal Christmas present tags so we can make his busy night a little easier. 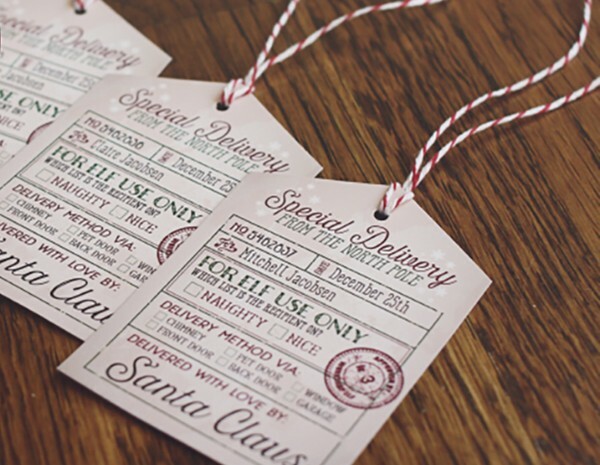 Straight from the North Pole – via reindeer of course – these special tags can be printed from A La Mode. 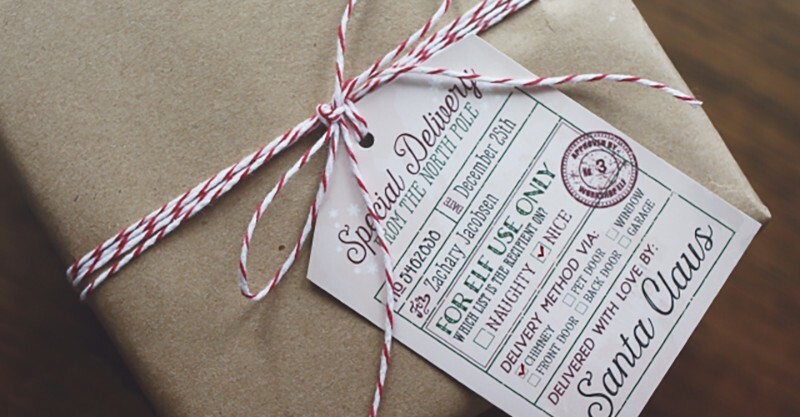 For a little more straight-from-the-North-Pole detail, try these DIY Santa’s workshop tags. We especially love the naughty or nice checkbox. You’ll find them over at Three Little Monkeys Studio. Movable legs, antler and tail makes this reindeer tag a little trickier to construct, but with some split pins and the printable from Eat Drink Chic, you’ll wow your gift recipient before they’ve even opened their pressie! Some colour from Skip to my Lou will pretty up the brown paper packages with smiling Santas, snowmen and stockings. If you’re a last-minute shopper or still need to decide what to put on the dinner table come Christmas Day, don’t hesitate to take a peek at all the Babyology Christmas posts to help make things easier at the busiest time of the year.